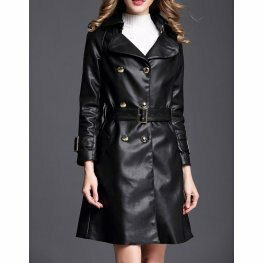 Dashing blazer in leather comes with three-buttons,keeping you warm and comfortable with style to spare.The Vintage blazer in nice black color. You will find this very smart blazer has perfect shape and fitting. 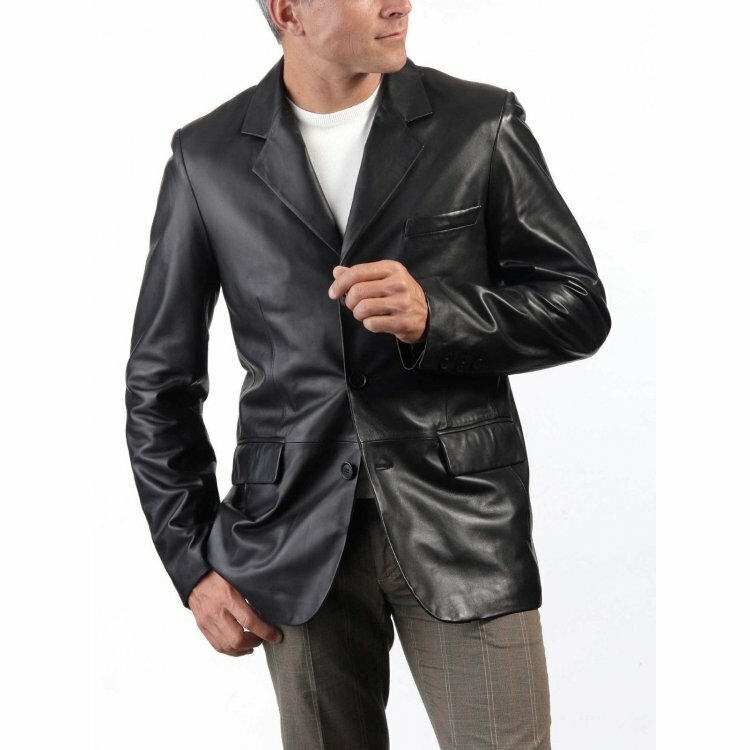 Soft leather blazer for mens comes in three designer buttons in black color.There is a classic notch collar to create lightweight luxury that complements your wardrobe. 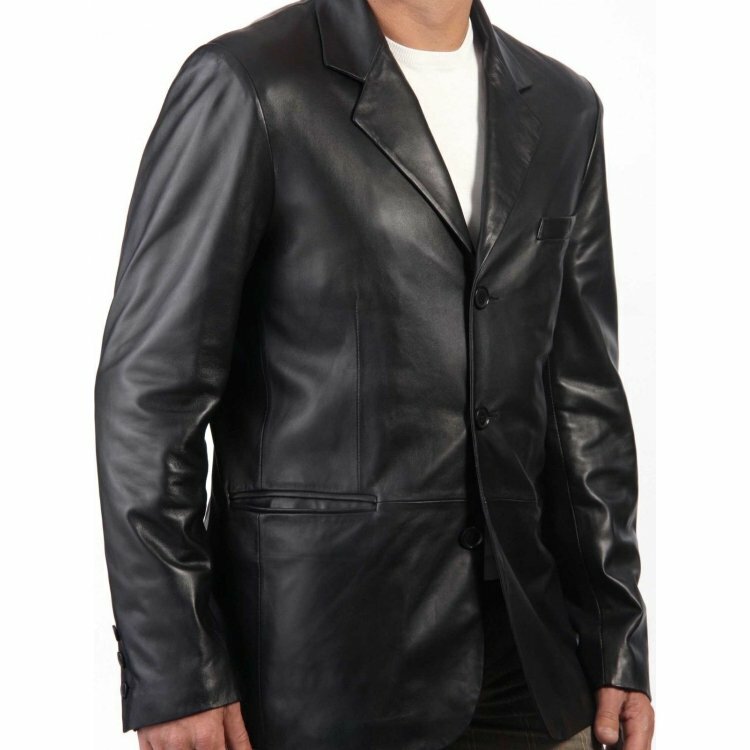 Mens black leather blazer has two slip pockets, one breast pocket, and two inner pockets which keep all your essentials in place.